I would have rather watched Leap Dave Williams 2: Leap Baby. Hell, I would have rather watched The Rural Juror. But instead I’m celebrating the elusive February 29th by watching Leap Year, which was inexplicably released in 2010, smack in the middle of the four-year cycle that makes its central “holiday” relevant. 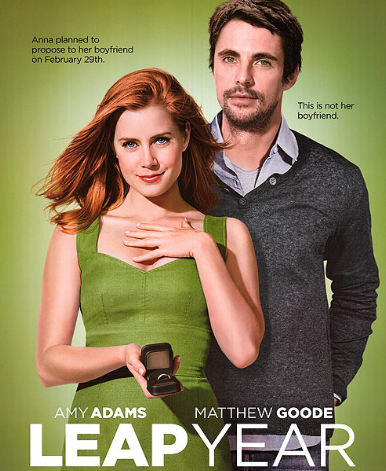 The premise of this movie is absurd and offensive, even with the bar lowered to compare it to other wedding movies: Amy Adams plays Anna, who stages fancy apartments to improve their position on the real estate market and dates a cardiologist so important (Adam Scott, in the midst of his douchebag-for-hire period) his work takes him to Ireland for reasons I think I was emailing through. Underutilized best friend Sweet Dee spies The Cardiologist at a jewelry store looking at diamonds, so Anna expects a proposal is imminent. She even tells her dad, John Lithgow, whom I assume needed a credit to keep his SAG membership active. But then, quelle horreur, The Cardiologist merely presents full carat diamond earrings to his lady love. WHAT A TRAGEDY. Frustrated that she’s put four years into a relationship and been given only ear jewelry to show for it, Anna does what any reasonable woman would do: she books a last-minute flight to Ireland to exploit a “loophole” in Irish culture that “allows” women to propose to men on one day every four years. Cormac or Liam or Declan or something responds, “That’s the stupidest thing I’ve ever heard.” I smile and gear up for a much-needed meta-criticism of the plot of this movie, pointing out that a lady doesn’t need an irregular date and a foreign country to propose marriage to her dude, she just needs to do it. That’s not what he says. He says, “It’s a day for desperate women to try to trap themselves a man who clearly doesn’t want to get married. If your man wanted to propose he would have done it already. FACT.” At this point I give up all hope on this movie being any less than 100% terrible. Anna and Cormlideclan have your standard road-trip misadventures as they make their way to Dublin, including being peer pressured into making out by elderly couples at a B&B and crashing a wedding where Anna smacks the bride in the forehead with a rogue shoe à la Clueless, and then spills red wine on her dress while apologizing. Oh, and at some point Anna, the apartment stager with the cardiologist boyfriend “applying” to live in an ultra-posh building, lectures the dude from the Irish countryside about how poverty really feels. As though the movie wanted to prove my eyes could roll even harder. Somehow these misadventures convert into falling in love, because this is a romantic comedy. I feel terribly bad for Adam Scott’s cardiologist Baxter, because in all of his phone contact with Anna he’s been pleasant and excited to see her soon. He even proposes marriage the moment she arrives in his presence, and she of course accepts. For about a half-swallow of Diet Coke I thought that was going to be the happy ending of the movie, and the story with Anna And Cormlideclan was going to be some kind of what-if ships-passing-in-the-night fantasy for the two characters, which I found surprisingly realistic and satisfactory. Of course that is not what happens. The Cardiologist reveals he was spurred to propose by the board of the exclusive apartment building they were applying to live in, and Anna is unsatisfied with that motivation. She goes back to Europe and puts it all on the line for the Irish dude she barely knows, asking him to “not make any plans” with her but love her all the same. Which I guess is supposed to represent her character arc: she goes from someone who follows non-existent rules to someone who breaks them. Fortunately, she’s saved from any chance of personal growth by Cormlideclan’s actual marriage proposal, motivated not by his selfish desire to land a sweet living space but by… um, uh… his appreciation of Anna’s pretty face? The constraints of the genre? I’m not really sure what. Here’s hoping that real movies return in March. I am so glad these movies exist, so that I can read what you write about them. I got ridiculously excited when I saw a movie review from you on my feed! I concur. 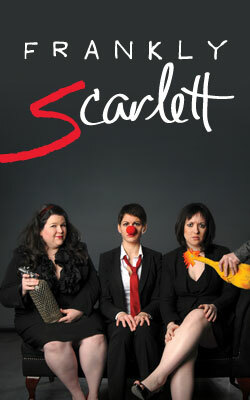 Though this one makes me sad, I think Amy Adams is way better than this! I can’t believe anyone thought that this premise was actually worth spending money on to make. but I turned it off. I turned it OFF it was so horrible. I was both annoyed and bored at the same time which is the truest of hells. So thank you for writing this, if only because I was 0.01% curious what happened. I think I got as far as the make-out in the B&B. PS: Are you now using quotes from other (way better) wedding movie characters in your posts?? Quelle horreur! Ew! I’m sad. So many actors I like in such an offensive and stupid sounding movie. Amy Adams always seems like an annoying yawn in the form of a pretty red head to me. I don’t mean that in condescending way, I mean that in a she’s-always-the-same-boring-character-played-the-same-way. I’ve found her that way in every movie I’ve ever seen her in. The plot (plot??) of this movie sounds ridiculous. Thanks for sparing me in case if pops up in my instant view options and I’m tempted to view it. I don’t know if you’ve heard of this podcast, but a friend mentioned it after hearing me try to explain the mess that was ‘Sucker Punch’. It’s called ‘How Did This Get Made’ and features a bunch of comedians discussing the awful movies they’ve seen. Sounds like this would be right up their alley. BTW, Robin, I hope you’ll consider watching or even reviewing Sucker Punch. And then maybe we can have a discussion about it. It was the most offensive and confusing movie I’ve seen in maybe ever, and I’ve seen movies about gay conversion therapy. And I still don’t understand it. Now here is the truly terrible thing: I want to watch it to see Ireland! I think I would probably throw something at the TV though. Cormlideclan is my new favorite name. seriously though, why did they bother releasing this movie in 2010? I got so bored today afternoon, however as soon as I watched this Movie Review: Leap Year | HitchDied funny clip at this weblog I turn out to be fresh and cheerful too.